Subversion, by Duncan Reekie, is the first book to explore not only avant-garde art cinema and filmmaking collectives but the entire history of underground films, from the 1920s onwards. The book is a strange combination of dry theoretical discussion and personal polemic. Amos Vogel's Film As A Subversive Art, with its frame-enlargements from hundreds of obscure films, remains an essential study of underground cinema. 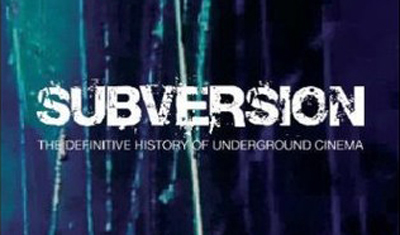 Subversion does not quite live up to its subtitle (The Definitive History Of Underground Cinema), but it does provide an opportunity to consider underground films within their historical contexts. Decorative Arts: Style & Design From Classical To Contemporary is an illustrated guide to glassware, metalware, ceramics, furniture, and textiles. The author, Judith Miller, has written numerous antiques price-guides, though Decorative Arts is intended as an historical introduction. 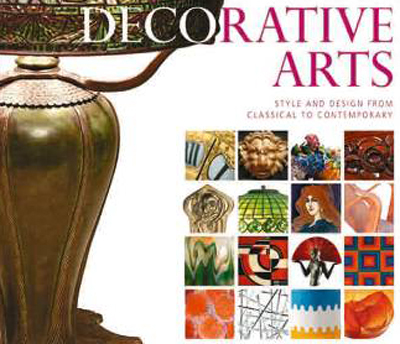 Like Miller's other guides, Decorative Arts is published by Dorling Kindersley. I'm not particularly a fan of DK, as I explained last year. However, I can't argue with the 3,000 glossy illustrations in Decorative Arts, nor with its wide historical scope (from pre-history to the present day). There are more detailed decorative arts dictionaries and encyclopedias available, though Miller's book provides a fascinating overview of the subject. 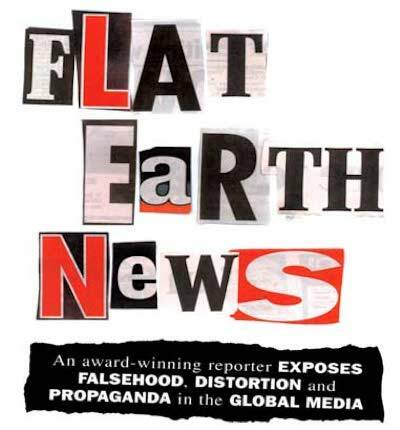 Flat Earth News, by Nick Davies, paints an unpleasant picture of contemporary journalism. It's subtitled An Award-Winning Reporter Exposes Falsehood, Distortion, & Propaganda In The Global Media. Davies criticises journalists for their reliance on wire stories and press-releases (what he calls 'churnalism'), and for never letting the facts get in the way of a good story. The Daily Mail, a reactionary UK tabloid, is one of the main targets: Davies criticises the racist scaremongering and distortion in the Mail's immigration coverage. Newspaper sensationalism and distortion is nothing new, of course. Press baron William Randolph Hearst (the model for Charles Foster Kane in Citizen Kane) once reputedly told a photographer: "You furnish the pictures, I'll furnish the war" (a line which was paraphrased in Kane). Famously, in The Man Who Shot Liberty Valance, a fictional newspaper editor explains: "When the legend becomes fact, print the legend". The second edition of A World History Of Architecture, by Michael Fazio, Marian Moffett, and Lawrence Wodehouse, has been published by Laurence King. (In America, it has been retitled Buildings Across Time: An Introduction To World Architecture.) The book presents a global history of architecture from Stonehenge to the early 21st century. Like Graphic Design: A New History, it's another in the publisher's impressive collection of historical surveys of various artistic fields. The ultimate authority on architectural history is Banister Fletcher's A History Of Architecture, edited by Dan Cruickshank, currently in its twentieth edition. Fletcher's volume has an almost incredible 4,000 illustrations, while Fazio et al. provide a 'mere' 700. However, Fletcher's text is less accessible, and less affordable. 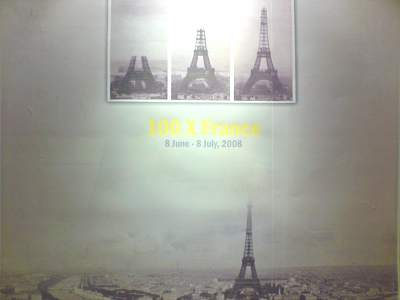 As part of the 4th Month of Photography for this year's La Fete festival, the Queen's Gallery in Bangkok is hosting 100 X France, an exhibition of 100 images from the history of French photography. The exhibition opened yesterday, and runs until 8th July. 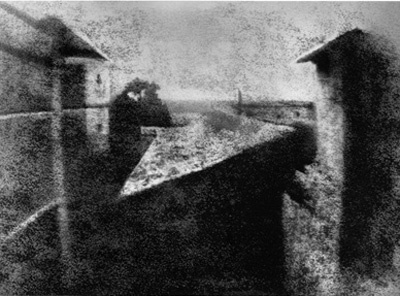 The earliest extant photographic image, an 1827 'heliograph' by Joseph Niepce (discovered by photographic historian Helmut Gernsheim) begins the exhibition. There is also an example of Etienne-Jules Marey's Chronophotographie. Photographs by several artists from other mediums are also included, such as a book cover by Marcel Duchamp and a portrait by Agnes Varda. 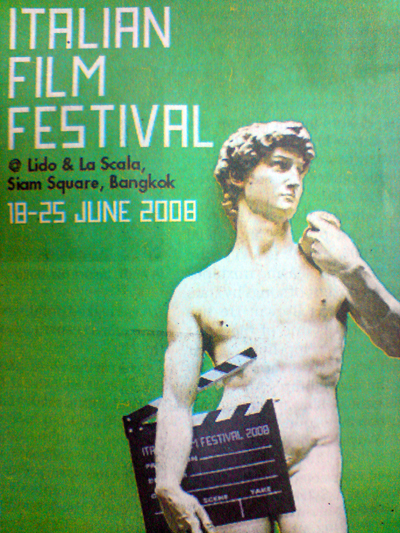 Bangkok's Lido cinema will host the Italian Film Festival 2008 later this month, from 18th to 25th June. One of the highlights will be Martin Scorsese's documentary My Voyage To Italy (20th and 25th June). Scorsese's documentary (in the style of his earlier A Personal Journey Through American Movies) is a four-hour tribute to Italian cinema, from Cabiria to Federico Fellini. Scorsese's most passionate comments are reserved for Neorealist classics such as Rome: Open City and Bicycle Thieves. The C Word, rather cumbersomely subtitled How We Came To Swear By It, was broadcast by BBC3 in the UK on 30th July 2007. 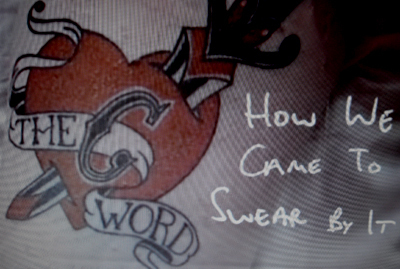 The programme, directed by Pete Woods, was an hour-long investigation into attitudes towards the c-word, making Channel 4's A Brief History Of The F-Word (2000) seem tame by comparison. It was a fascinating programme which managed to touch on all of the major debates surrounding the word. The presenter, Will Smith, made the class aspect of the word a major focus, which is something I've always avoided because I feel that it's out-dated. Also, he interviewed the increasingly ridiculous Eve Ensler for far too long, presumably because others such as Germaine Greer had declined to appear. (Greer made a ten-minute segment about the c-word for BBC1's Balderdash & Piffle in 2006.) Smith told us that the word's first appearance in a newspaper was in The Independent in the 1980s; this 'fact' has been regularly repeated, though my own research has antedated the c-word's first newspaper appearance by over a decade. Into Me/Out Of Me was an exhibition conceived by Susan Sontag and curated by Klaus Biesenbach. It brought together iconic works from the past forty years of body art, and was organised into three broad themes: metabolism, reproduction, and violence. Over 130 artists were represented, including Andres Serrano, Carolee Schneemann, Robert Mapplethorpe, Judy Chicago, Hermann Nitsch, and Damien Hirst. The result was an extraordinarily comprehensive retrospective, probably the widest survey of body art thus far. The exhibition catalogue is arranged alphabetically by artist, rather than according to the three categories of the exhibition itself. It resembles The Artist's Body (from Phaidon's Themes & Movements series), though its images are more explicit and its introduction is more anecdotal.